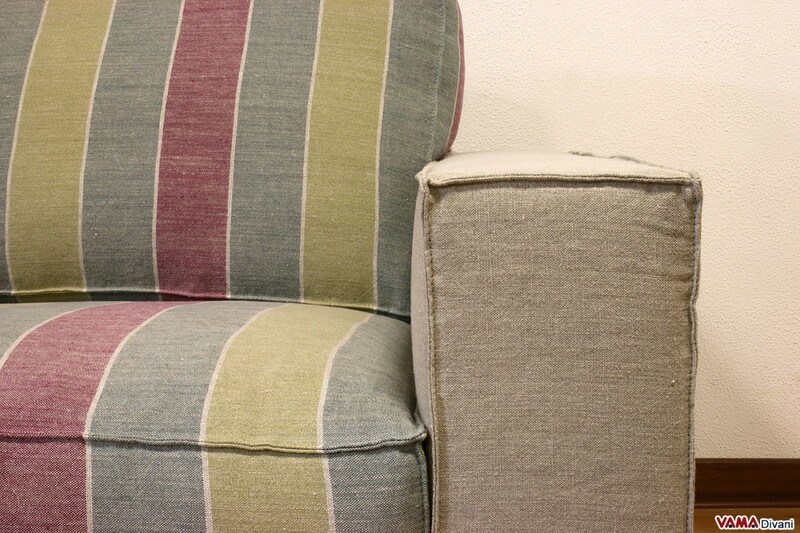 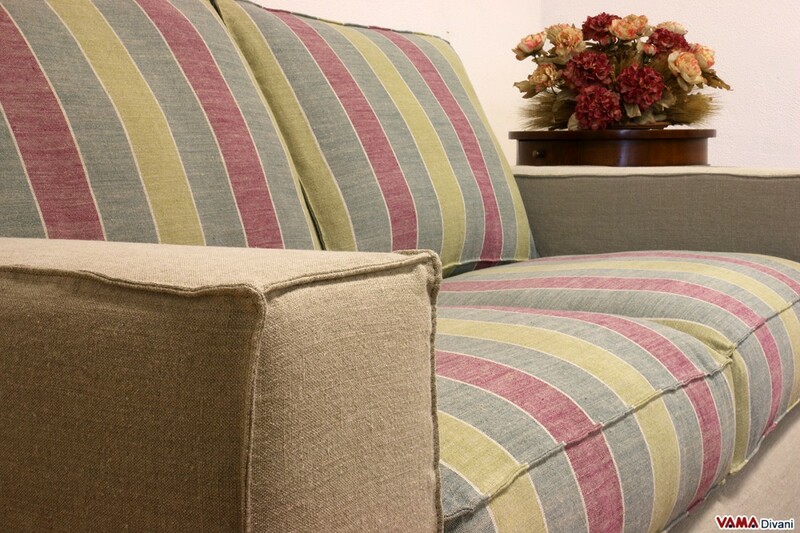 Zoe is a contemporary and linear sofa, a simple but a very special one. Since this is a removable cover sofa, its upholstery can be defined as a contemporary sofa cover, given its special seams on its edges. 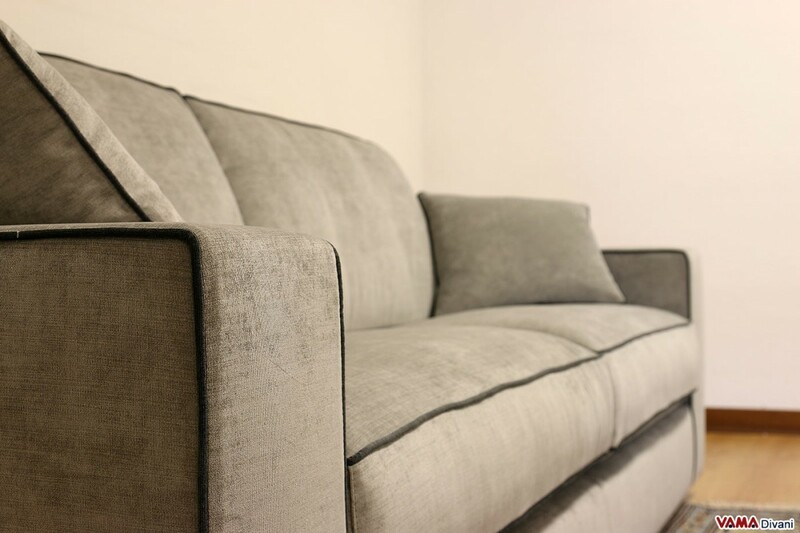 Like all the sofas of our collection, Zoe can be realised in many sizes, dimensions, colours and upholsteries; for example, if you are looking for a contemporary corner sofa or for a contemporary leather sofa, Zoe presents all the features to meet your needs. 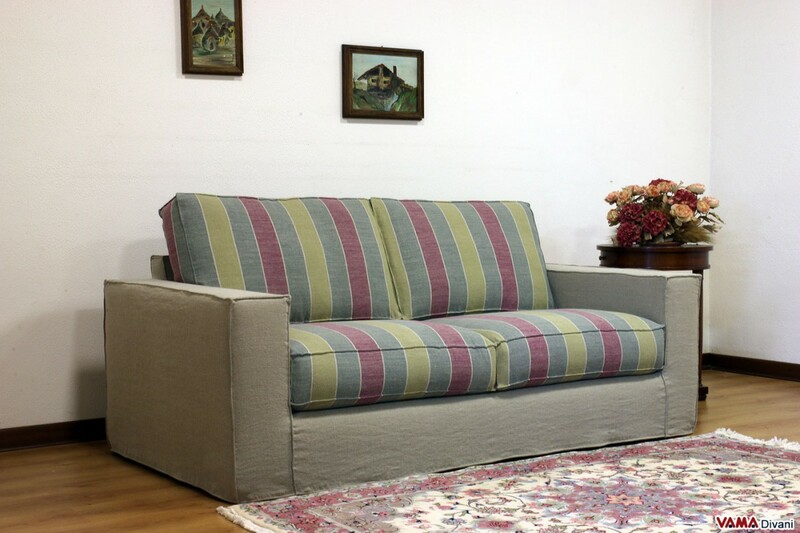 The model shown in the picture is a 3 seater sofa, despite the two seat cushions that could make it look for a contemporary 2 seater sofa, but being an artisan company that produces contemporary custom sofas, you can request it in any size you prefer. 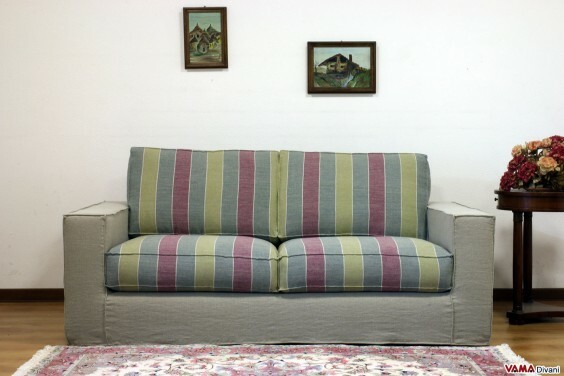 Having said that and having labelled the version shown in the picture as a contemporary 3 seater sofa and after specifying that can be customised in every detail, as all our contemporary sofas, it is also possible to install a pull-out bed inside the Zoe sofa, making it a contemporary sofa bed characterised by a modern design. 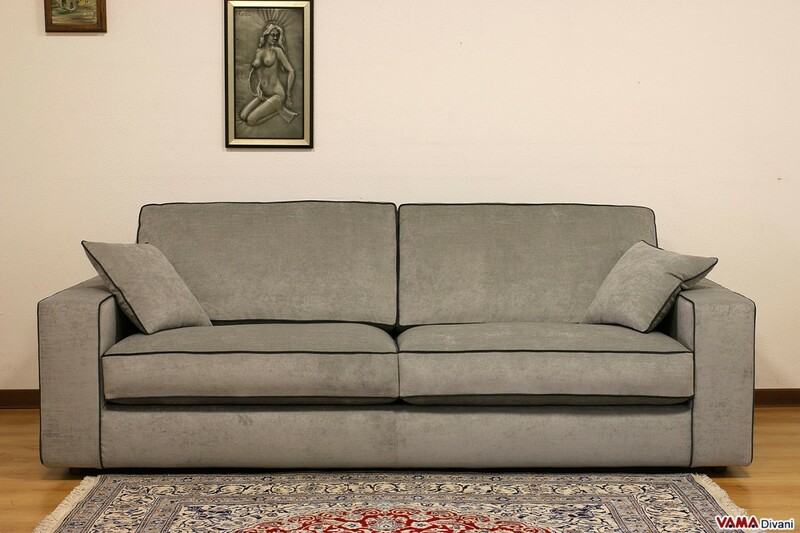 The prices of this contemporary design sofa vary depending on customisation or size you want to choose, then to have a tailor-made quote, such as you would like your Zoe will become a contemporary corner sofa in grey fabric or a contemporary modular sofa in white leather, do not hesitate to contact us! 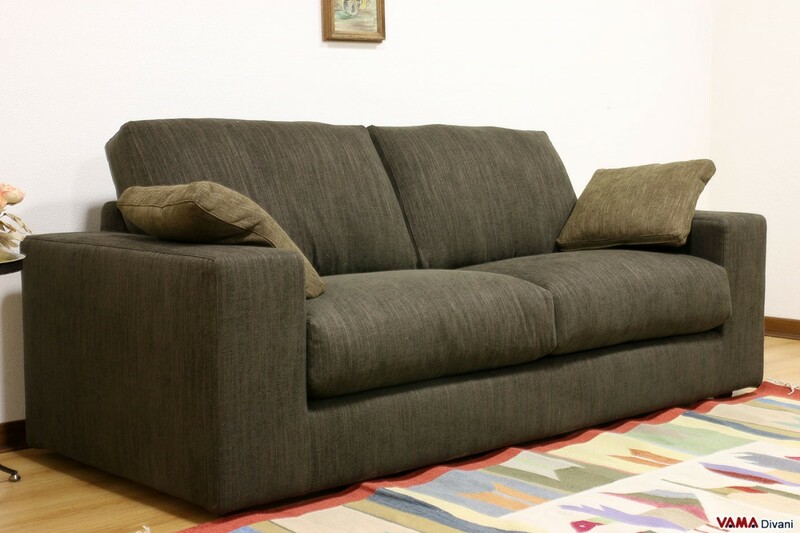 The contemporary sofas, from corner to 2 seater ones, present a unique design that makes them special at first glance, this because they can be realised in all the possible shapes and sizes, upholstered in both leather and fabric, and we can go from the contemporary design red sofas to contemporary round and coloured sofas, in the blink of an eye, without ever stopping to appreciate them. 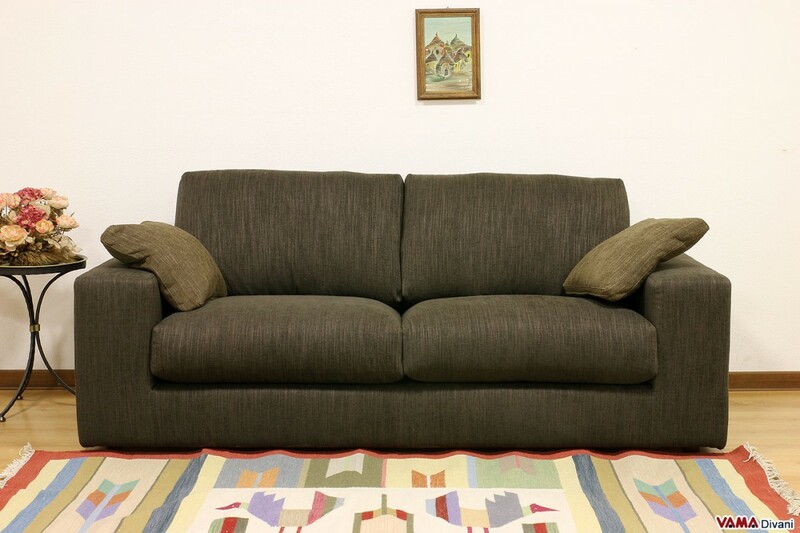 The prices of contemporary sofas vary widely depending on the details and customisations with which you decide to embellish your living room, the more you want to make your contemporary sofas strange and special ones, changing their feet and the types of fabric or leather, the more the price varies from the standard one. 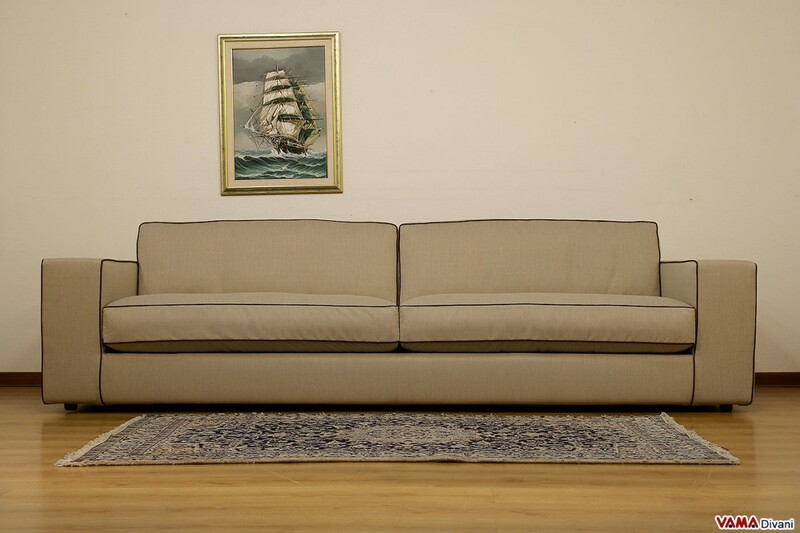 Sometimes you come across images or pictures of contemporary shallow sofas and maybe you want them in white leather but you could not know the prices. 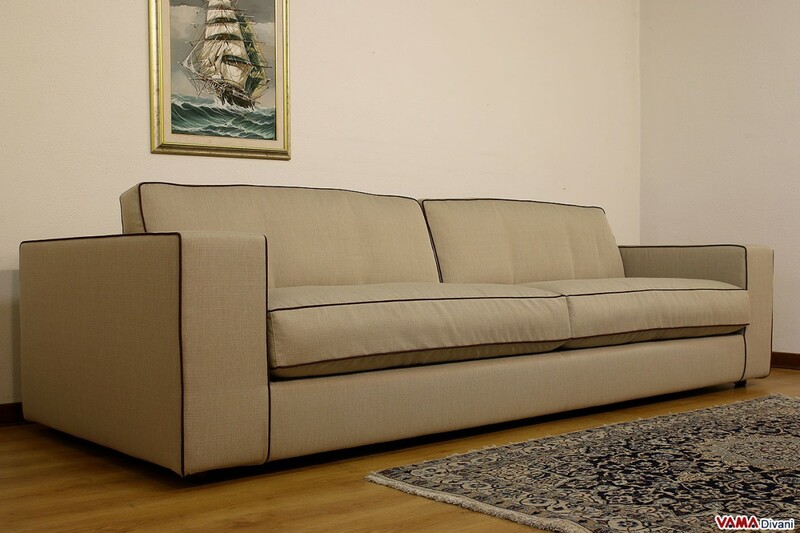 VAMA Divani realises contemporary custom sofas without any problem, so please send us a picture or an image to receive some free quotes of our contemporary Italian sofas. 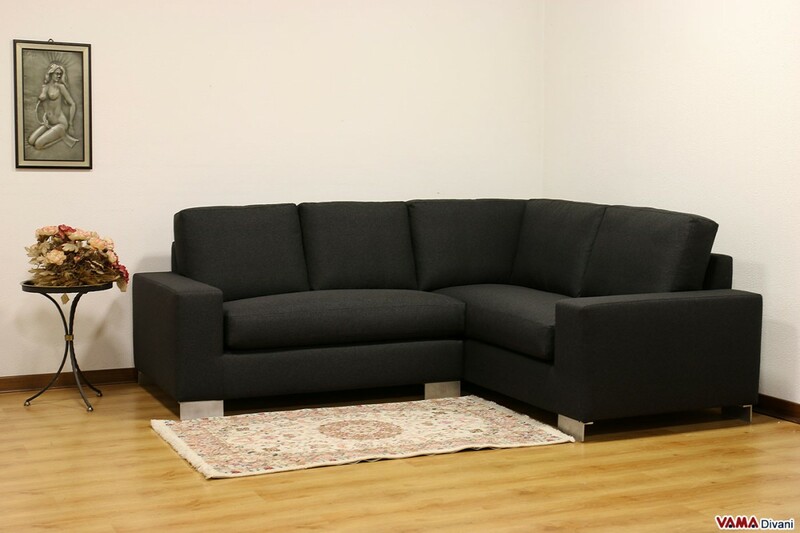 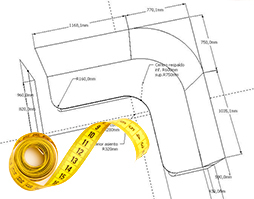 Directly to your own home, you can buy models of contemporary sofas, small or "XXL" ones, directly on line, without having to go back and forth to the stores to define every detail. 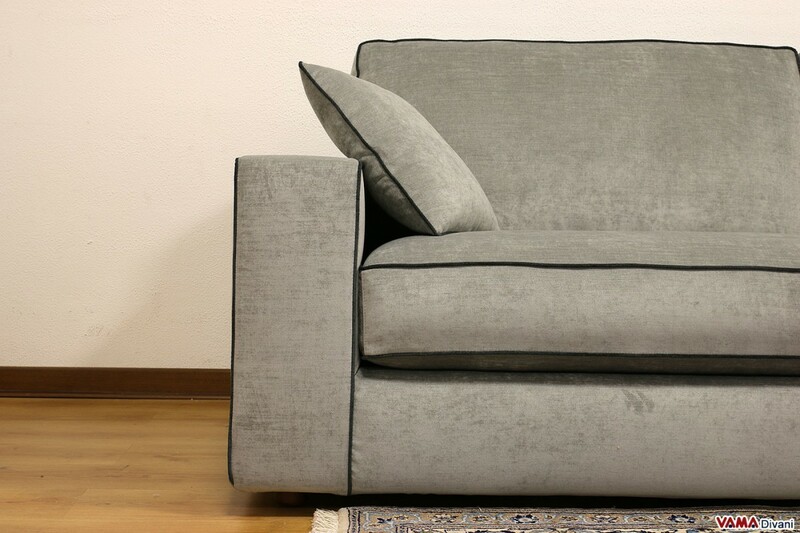 On our website you can view all our contemporary armchairs and sofas for your living rooms and ask the prices for any changes. 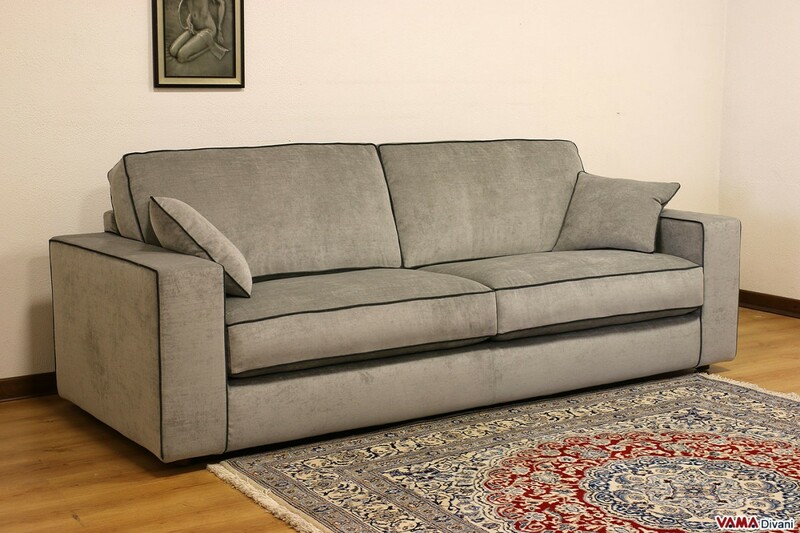 For example, if you are looking for contemporary sofas for small rooms, feel free to contact us: we will have an answer to every question.